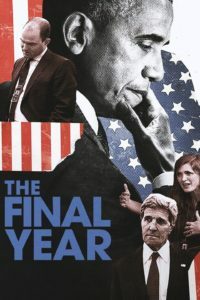 The Final Year, Greg Barker’s HBO documentary, covers January 2016 to January 2017 of the Barack Obama administration . It is quietly devastating and demoralizing footage of the last twelve months of foreign statesmanship before the Trump administration. 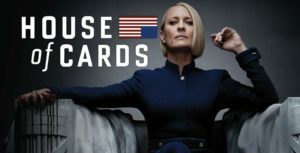 Don’t expect that The Final Year will give you a portrait of the 44th president in the looming shadow of what was to come. 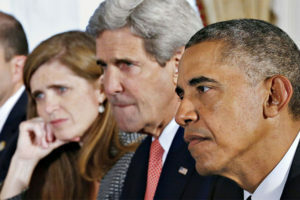 The Final Year actually follows Samantha Power, U.N. Ambassador and Deputy National Security Adviser Ben Rhodes, as they almost inexhaustibly pursue Obama’s foreign policy agenda with heart and soul. The empathy they have for global unity is palpable. The undoing of every last element of what the people onscreen are busy accomplishing is the not-so-subtle theme of The Final Year. The power of this documentary is gut-wrenching. The tireless 72-year-old John Kerry, who travels by boat amid spectacular but melting Greenland icebergs, is conflicted– as a Vietnam War vet– in his attitude toward military invention in the Middle East. And the brilliant Rhodes, whose magic as a wordsmith provides alchemy to Obama’s speeches in Vietnam, Laos, and Hiroshima, is rendered speechless in the immediate aftermath of Hillary Clinton’s defeat. While Obama’s intellectual demeanor continues to inspire his staff, The Final Year rather surprisingly also suggests Obama’s emotional distancing, an abstraction or cutting off from what would certainly follow: the eradication of many of the policies his administration fought for. He believes that deaths from global conflict are far fewer compared to the last century and that democracy is going in the right direction. Power and Rhodes, both of whom have great pride and zeal in working for President Obama, nevertheless disagree. 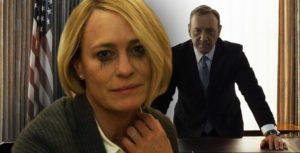 As The Final Year concludes, Obama supporters are likely to find the movie terribly crushing and bleak. And viewers who opposed him? They probably won’t be interested in watching The Final Year at all. Note: Available on Netflix as a DVD. Queen of Katwe, an indie film based on a true story, features 10-year-old newcomer Phiona (Madina Nalwanga) living in the shanty town of Katwe in Kampala, Uganda. She is an impoverished little girl who is in a constant struggle to survive along with her mother Harriet (the extraordinary Academy-Award-winning Lupita Nyong’o of “12 Years a Slave” and “Black Panther) and younger brothers. After Phiona meets Robert Katende (David Oyelowo of “Selma”), a missionary who teaches children how to play chess, her outlook becomes more aspirational than selling vegetables at the local market. 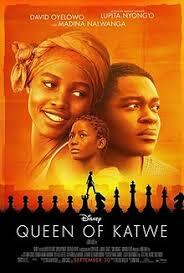 Under Katende’s guidance Phiona develops into a chess prodigy, becoming not only a champion player but also a scholarship student in an elite school. She now has an opportunity to escape the misery of her family life. She refuses to let her gender, social status, or lack of an education interfere with her dream to become Uganda’s national chess champion. One of the more emotionally authentic subplots in Queen of Katwe is the tenuous relationship between Katende and Phiona’s mother. As the mother begins to worry about her daughter’s promising future distancing her, we see a mother-daughter relationship pictured as loving but also awkwardly threatening. Under the direction of Mira Nair, there is no artifice, subplot cliches, or unnecessary romance. Queen of Katwe is appealing to all ages, and a positive domestic vision of a family with a single mother living in squalor. This film is first and foremost about a young girl’s empowerment and her mother’s unconditional love and acceptance. The actors are standouts: Newcomer Madina Nalwanga exudes the authenticity and spirit essential for evoking truth. Oyelowo further establishes himself as a powerful presence. And, of course, there is Lupita Nyong’o who must take a stock mother-figure role and turn it into something else, setting every scene with a fire-in-the-belly strength to match Oyelowo. This acting triumvirate makes Queen of Katwe a crowd-pleasing family film for the holiday season.